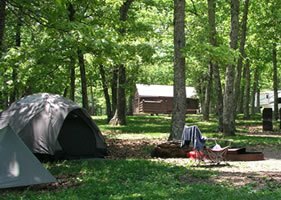 Great Smoky Mountains National Park invites the public to comment through June 27th on a proposal to increase fees at frontcountry campgrounds and picnic pavilions along with proposed changes to the management of three campgrounds by adding them to the national reservation system through Recreation.gov. The park is also hosting open houses at the Oconaluftee Visitor Center Administration Building near Cherokee, NC on Monday, June 20th, and at Park Headquarters near Gatlinburg, Tennessee on Thursday, June 23rd where the public can drop by for more information about the proposal. Both open houses will be held from 5:00 p.m. to 7:00 p.m. The park operates nine open campgrounds, seven group campgrounds, and five horse campgrounds. Additionally, the park maintains six picnic pavilions which are available for reservation through Recreation.gov. The current fees have not been increased since 2006 or earlier at any facility aside from Cataloochee Campground which had an increase in camping fees in 2011 when it was added to the reservation system. Since the park has not annually increased fees over these last 10 years, managers are now proposing to increase the camping and picnic pavilion fees up to 25% to meet the rising costs of operations, reduce a backlog of maintenance requirements on park facilities, and initiate needed improvements. 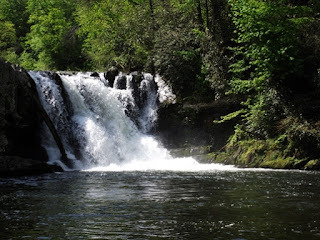 Unlike most large national parks, the Smokies does not charge an entrance fee and therefore has limited means for maintaining levels of service the public has come to expect and enjoy. In addition to proposing fee increases, the park is also proposing to add Abrams Creek, Balsam Mountain and Big Creek campgrounds to the National Recreation Reservation System. As proposed, all sites would require advanced reservation and payment prior to arrival in the park through Recreation.gov either online or by phone. By placing these three geographically remote campgrounds on the reservation system, the park can reduce campground operation costs by eliminating the need for staff time for the collection of fees. The reservation system also provides a more efficient process for visitors to secure an overnight stay without traveling to the remote locations to check for vacancies. By law, the park maintains 100 percent of the camping and pavilion fees to reinvest in facility maintenance, including routine maintenance and infrastructure improvements, and provide services that benefit park visitors. In 2015, park revenue from camping and pavilion fees totaled approximately $ 1.6 million. The 25% proposed fee increase is expected to generate approximately $400,000. In recent years, recreation fee money has been used to support a variety of projects including operating costs such as daily maintenance and utility costs along with rehabilitation projects such as the replacement of picnic tables and grills. The National Park Service (NPS) is a not-for-profit agency and NPS policy maintains that fees for services like camping and pavilions are set so as not to create unfair competition with private sector facilities in the area or put them at a disadvantage. The park completed a 2016 comparability study with campgrounds in the surrounding communities and the study revealed that, while park camping fees in the park have remained largely constant since 2006, campgrounds in the surrounding communities have continued to rise. Even with a proposed 25% fee increase, park campgrounds would remain among the least expensive in the area. The National Parks and Federal Recreational Lands Interagency Senior or Access Pass holders receive a 50% discount in camping fees for frontcountry individual and horse campsites. There is no plan to increase the price of these national passes, which is $10 for lifetime Senior Pass and the Access pass is free. Passes are available at Smokemont, Elkmont, and Cades Cove campgrounds and park visitor centers. The park will host two informational open houses where the general public, partners, cooperators, and stakeholder representatives are invited to drop by to learn more about the proposal and submit written comments. • June 20, 2016: Oconaluftee Visitor Center Administration Building from 5:00 p.m. to 7:00 p.m. at 1194 Newfound Gap Road, Cherokee, NC 28719. • June 23, 2016: Park Headquarters Lobby from 5:00 p.m. to 7:00 p.m. at 107 Park Headquarters Road, Gatlinburg, TN 37738. Note that comments submitted anonymously will not be accepted. Before including your address, phone number, e-mail address or other personal identifying information in your comment, you should be aware that your entire comment (including your personal identifying information) is subject to the Freedom of Information Act and may be made publicly available. While you may request in your comment to withhold your personal identifying from public review, the park cannot guarantee that they will legally be able to do so. Last week Agriculture Secretary Tom Vilsack and Forest Service Chief Tom Tidwell met with Forest Service Regional Foresters to discuss preparations for anticipated significant wildland fire potential in 2016. The briefing comes as the 2016 fire season has begun with five times more acres already burned than this time last year, following 2015's record-setting fire season. In recent years fire seasons are, on average, 78 days longer than they were in 1970 and, on average, the number of acres burned each year has doubled since 1980. 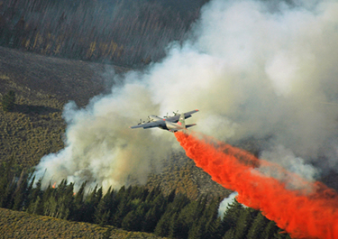 As a result, the Forest Service's firefighting budget is regularly exhausted before the end of the wildfire season, forcing the Forest Service to abandon critical restoration and capital improvement projects in order to suppress extreme fires. As part of a National Trails Day celebration, the Big South Fork National River and Recreation Area will host a day of trail clean-up on Saturday, June 4th. Participants should meet at the Bandy Creek Visitor Center by 8:30 a.m. (ET). Now in its 24th consecutive year, National Trails Day challenges the public to explore nearby trails, and engage in outdoor recreation activities like hiking, horseback riding, kayaking, or mountain biking, to learn new outdoor skills and to support volunteer efforts. 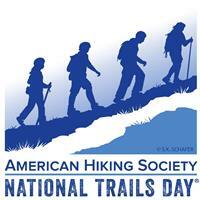 National Trails Day 2016 is also part of Great Outdoors Month, a month-long effort in June to get Americans outside. Great Outdoors Month is coordinated through a coalition of recreation and environmental organizations. Bolstered by proclamations issued by the President and all 50 state governors, Great Outdoors Month celebrates everything great about America’s abundant outdoor recreation resources while highlighting Americans’ passion for the outdoors and calling for a rededication to conservation efforts and volunteerism. Have you ever been out hiking in the forest and heard a quick thump-thump-thump-thump noise? Over the years I've heard this noise on at least three different occasions, but could never explain what it was. I believe in all three incidences I was hiking along the Appalachian Trail. At first the deep sound appeared to be coming from within, as if my heart was suddenly beating very loudly. However, after a two or three seconds you realize that it's not coming from your heart, but somewhere nearby. In each incident I just assumed that it was a large bird flying overhead, but never saw any evidence of this. Fortunately, I recently came across a discussion in Reddit which solved the mystery for me. The explanation given to the forum questioner was that it was the "drumming" of a Ruffed Grouse. A male Ruffed Grouse performs his "drumming" on a fallen log in order to announce his territory and his desire for a mate. Campers and backpackers may want to keep track of this story as it develops. Duke University, in conjunction with REI, has conducted a study on flame retardant treatments in camping tents, which was recently published in the latest edition of Environmental Science and Technology. 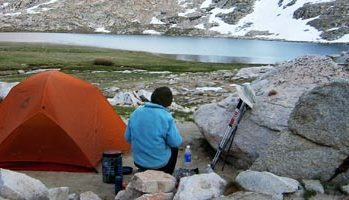 Although there are no clear-cut conclusions at this point, there is concern within the outdoor industry that campers and backpackers may be exposing themselves to the adverse health effects of flame retardant chemicals, including the possibility of thyroid cancer. The study found that skin and inhalation exposure levels to flame retardant chemicals were significantly higher for volunteers while they set-up and occupied their tents. Currently, flame retardant chemicals are applied to tents in order to prevent or slow the spread of fire on potentially flammable materials. These are used to meet regulatory flammability requirements. Apparently there are many other consumer products that potentially could be exposing us to harmful chemicals as well. • Wash your hands after setting up a tent or wear gloves when setting it up. • Use the venting systems. • Leave the rain fly off the tent when possible, to increase ventilation. • Avoid using heat sources inside your tent, including cooking stoves, lanterns or candles. Long term, all of us probably need to pay closer attention to any new developments on this issue, and take action as new data becomes available. The Pisgah National Forest will temporarily close the Point Lookout Trail on the Grandfather Ranger District for repairs starting May 31, 2016. Repairs to the paved walking and biking trail are expected to take 90 days, and the trail is anticipated to reopen by September 1st. The Point Lookout Trail connects Mill Creek Road in Ridgecrest to Old U.S. 70 in Old Fort along the historic motor route into the mountains. The trail was briefly closed last fall after heavy rains caused a landslide that damaged the trail and covered it with large rocks. Repair work this summer will fix damage caused by last year's slide, as well as construct retaining walls to prevent future slides. The U.S. Forest Service urges the public to heed trail closures and avoid the area. Heavy machinery used on the trail will prohibit passage during construction. Mill Creek Road may be used as an alternate route. 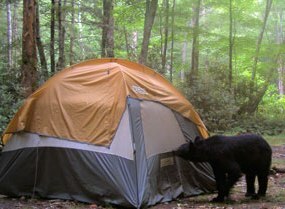 Great Smoky Mountains National Park officials closed the Spence Field Backcountry Shelter after 49-year-old Bradley Veeder of Las Vegas, NV was bitten by a bear while sleeping in his tent near the shelter, which is located near the intersection of the Bote Mountain Trail and the Appalachian Trail. On Tuesday, May 10th at approximately 11:16 p.m., the park was notified through Graham County 911 services that Veeder, an Appalachian Trail thru-hiker, was bitten by a bear on his lower leg through his tent. The bear was scared from the area before Veeder or other backpackers saw it. All backcountry campers gathered in the backcountry shelter for the remainder of the night. The bear did return later to the area where it tore through Veeder’s vacant tent along with another vacant tent. The bear was not seen by any of the backpackers in the area. Park wildlife staff are currently stationed onsite to monitor the area for bear activity. On May 11, Veeder was transported out of the backcountry by horseback and taken to Blount Memorial Hospital by Rural Metro Ambulances Service at approximately 3:45 p.m.
Park officials urge everyone to exercise caution while hiking, camping, and picnicking to ensure their personal safety and to protect bears. Black bears in the park are wild and unpredictable. Though rare, attacks on humans do occur, causing injuries or death. Bears should never be fed and all food waste should be properly disposed to discourage bears from approaching people. Feeding, touching, disturbing, and willfully approaching wildlife within 50 yards (150 feet), or any distance that disturbs or displaces wildlife, are illegal in the park. If approached by a bear, visitors should slowly back away to put distance between the animal and themselves, creating space for the animal to pass. If the bear continues to approach, rangers recommend that you stand your ground together as a group and do not run. Hikers should make themselves look large and throw rocks or sticks at the bear. If attacked by a black bear, rangers strongly recommend fighting back with any object available and remember that the bear may view you as prey. Hikers are always encouraged hike in groups, closely control children, and carry bear spray. Taking these precautions become especially important when a notably aggressive bear is identified by park officials in an area. Whenever we as hikers venture into the wilderness we immediately assume a degree of risk. No matter the distance, your fitness level, or your backcountry experience, you should be prepared for a wide range of situations once you place that first foot on the trail. There are many things hikers and backpackers can do to minimize risk and prepare ourselves for a variety of conditions or events that could happen while out on the trail, such as taking extra food and water, carrying a map, or stuffing extra clothing and rain gear into our packs, among many others. 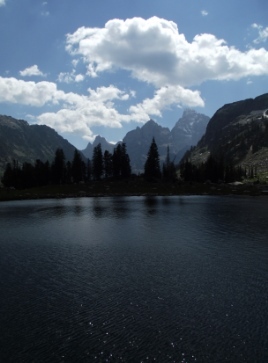 However, for those that hike in bear country, there are extra precautions you must take, especially if you’re trekking in grizzly bear territory, such as in Glacier, Yellowstone or Grand Teton National Park. There are several things you can and should do to ensure a safe and successful hike. One of your primary goals while hiking in bear country is to avoid a surprise encounter with a bear. In these situations noise will be your best friend, as bears will normally move out of the way when they hear humans approaching. Shouting out “hey bear” and loudly clapping hands every few minutes are excellent ways of making your presence known. Although many hikers think that they can rely solely on bear bells, this probably isn’t a good idea. Bear experts point out that the noise generated by the bells doesn’t carry well, especially in windy conditions, near streams and in open terrain. Many hikers also assume that they don’t have to make noise while hiking on well-used trails, however, many of the most frequently used trails around the country travel through prime bear habitat. People have been charged and injured by bears fleeing from silent hikers who unwittingly surprised them along the trail. Even if other hikers haven’t seen any bears on any given section of trail, you shouldn’t assume that bears aren’t around. Also, don’t assume a bear’s hearing is any better than yours. Various trail conditions can make it hard for bears to see, hear, or smell approaching hikers. Be particularly careful near streams and waterfalls, against the wind, or in dense vegetation. A blind corner or a rise in the trail also requires special attention. The best thing to do is to make a lot of noise, stay alert at all times, and avoid the habit of looking down at the trail all the time. Hikers should never hit the trail alone – no matter where you hike. There are far too many things that could happen in which a companion could provide some type of help, including possibly saving your life. This is especially true in bear country. One of the best ways to ensure a safe hike is to travel in groups of three or more people. 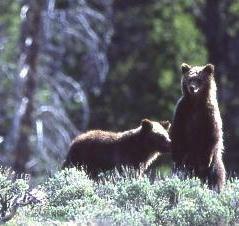 Bear experts recommend four, or even groups of five individuals. The noise from footfalls and talking is usually enough to alert bears of approaching humans, thus providing them with enough time to get out of your way. Consequently, the number of human-bear conflicts drop as the number of individuals in a hiking party increases. In the event that you are approached or charged by a bear while out on the trail, or in a campsite, your best line of defense will be bear spray. Hikers should always carry bear spray when venturing into bear country – and know how to use it. This aerosol pepper derivative triggers temporarily incapacitating discomfort in bears. It’s a non-toxic and non-lethal means of deterring bears. There are many cases where bear spray has repelled aggressive or attacking bears. According to studies in recent years, bear spray was more than 90% effective in stopping bear attacks, compared to firearms, which were only 50% effective. Obviously there are accounts where bear spray hasn’t worked as well as expected. Factors influencing effectiveness include distance, wind, rainy weather conditions, temperature extremes, and product shelf life. If you do decide to carry bear spray be sure to purchase spray that is specifically made for deterring bears, rather than pepper spray, which is a milder version made to deter humans. Currently there are only four bear sprays approved by the EPA. One of those is Counter Assault Bear Deterrent, which is an excellent choice for the trail. I like it because it sprays up to 32 feet, has a spray time of 9.2 seconds, and has a CRC of 2.0%, the maximum strength of capsaicinoids allowed by the EPA. Although the product is sold in two sizes, I would recommend going with the larger 10.2 ounce size. This will provide you with more spray to deploy in the event multiple bursts are needed. I would also recommend purchasing the product with either a belt or chest strap holster. This will provide you with fast access in the event of a surprise encounter where seconds matter. Finally, the last thing I would recommend is for you to educate yourself on bears. The University of Alberta in Canada has posted some valuable information concerning Bear Safety, Awareness and Avoidance on their website. The page covers an array of issues regarding bears, including understanding bear behavior and how to react during various bear encounters. I should also point out that the goal of this article wasn’t to scare you in anyway, but rather to prepare you before venturing into bear country. A Glacier National Park ranger that we have gotten to know over the years once said that far too many park visitors are “bearanoid”, meaning that they’re depriving themselves from enjoying their hike, or choosing to not even venture out onto the trail while in the park. For their sake, this is a shame. To put things in perspective, bear encounters are very rare. Consider that roughly one million people venture into Glacier’s backcountry each year. On average there are only one or two non-lethal bear “incidents” in any given year. Moreover, there have only been 10 bear related fatalities in the history of the national park, which goes back to 1910. Only three of those fatalities involved hikers, and at least two of those were solo hikers. So get out on the trail, be prepared, and have fun! Longs Peak: This will make you nervous just watching it! So you want to climb Longs Peak - the tallest mountain in Rocky Mountain National Park. I know that I definitely wanted to when I was younger. I even made an attempt back in the 1990s. However, just a little past the Keyhole, I realized that I was way out of my league, and promptly turned around. Later, as the internet began filling-up with trip reports, photos and videos, I saw that the route was even more dangerous past the point where I turned around. "The Keyhole Route is not a hike. It is a climb that crosses enormous sheer vertical rock faces, often with falling rocks, requiring scrambling, where an unroped fall would likely be fatal. The route has narrow ledges, loose rock, and steep cliffs." Rookie climbers should also note that the mountain is statistically one of the deadliest climbs in the United States. In addition to the hike to The Keyhole, Rocky Mountain National Park has many other outstanding hikes that take-in the best scenery the park has to offer. If you do plan to visit Rocky Mountain this year, please note that our hiking website also offers a wide variety of accommodation listings and other things to do to help with all your vacation planning. A new National Park Service (NPS) report shows that 10,712,673 visitors to Great Smoky Mountains National Park in 2015 spent $873,886,500 in communities near the park. That spending supported 13,709 jobs in the local area. National park tourism is a significant driver in the national economy, returning $10 for every $1 invested in the National Park Service. The report includes information for visitor spending at individual parks and by state. 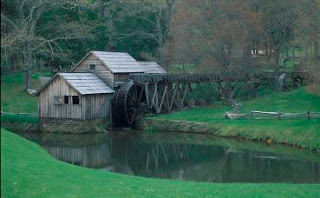 To learn more about national parks in North Carolina or Tennessee and how the National Park Service works with North Carolina and Tennessee communities to help preserve local history, conserve the environment, and provide outdoor recreation, go to www.nps.gov/NorthCarolina or www.nps.gov/Tennessee. Doctors are increasingly writing new prescriptions for an old remedy- time in nature. As part of the burgeoning Park Rx movement, health care providers throughout the country are encouraging patients to use parks to reap the benefits of nature’s healing properties. On April 24, U.S. Surgeon General Vivek H. Murthy, National Park Service Director Jonathan B. Jarvis, health care providers, and hundreds of people celebrated the first National Park Rx Day by participating in outdoor activities around the country. Nature-based applications to prevent and treat ailments are growing in popularity. In Washington, D.C., health care providers connect green space and park data to an electronic medical record to refer patients to parks for improved physical and mental fitness. In Miami-Dade County, Fla., children receive prescriptions to exercise in parks. And, in Marin City, Calif., the community’s new Park Rx program encourages residents to discover and use national park trails to stay active. Looking for a place to hike? How about Grand Teton National Park, Rocky Mountain National Park, Glacier National Park or the Great Smoky Mountains? All of these parks offer a variety of outstanding hikes that will appeal to anyone. All trails in the Silver Mine Fire area including the Appalachian Trail are open as of today, Monday, May 2nd. Fire crews, along with resource specialists and partners from the Appalachian Trail Conservancy, worked over the weekend to assess the condition of trails and clear potential hazards. While the trails are open for passage through the area, hikers are advised to stay on the trail and not to camp or linger in the burn area because hazards may still exist. Hazards may include fire weakened trees, stump holes, and dislodged logs or rocks. The Silver Mine fire has now burned approximately 5,700 acres within the containment lines and containment remains at 90%. Fire managers estimate that the final acreage will be around 6,000 acres. Firefighters made progress on fire line repair work in the burn area over the weekend. 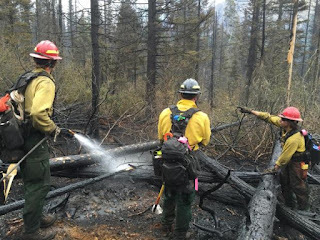 Crews are working closely with Resource Advisors to reduce or eliminate the possibility of erosion and sedimentation resulting from fire suppression activities such as fire lines, reopened roads and other disturbed areas. Efforts today will focus on continuing fire line repair, as well as monitoring the few small pockets of active burning. Longer term plans for restoration also continue. Fire on the landscape can have both positive and negative effects on the forest. A Forest Service Burned Area Emergency Response (BAER) Team is on the fire today to identify areas of high fire intensity that may need further monitoring or active restoration to protect water quality or forest health from damage after the fire is fully contained. Members of the National Forests in NC Incident Management Team, a specialized team to manage wildfire response, have been in Hot Springs since the fire began meeting the planning, logistical and other needs of the firefighting effort. The team will continue managing the fire through the coming week to finish the on-the-ground work. Firefighters with the U.S. Forest Service, North Carolina Forest Service, local Volunteer Fire Departments, and North Carolina Emergency Management are assisting in firefighting efforts. The fire was determined to be human caused, but the exact cause remains under investigation. Located in Shenandoah National Park's south district, the Rocky Mountain Fire was first reported on Saturday, April 16th at 1:15pm. When firefighters first arrived on the scene, the fire was approximately 70 acres in size, and growing quickly and too intense for a direct attack. Firefighters instead focused on evacuating hikers and backpackers and ordered additional firefighters and equipment to the scene. On Friday, April 29th, the fire was 100% contained and the closed section of the park's Skyline Drive reopened at 6:00 p.m. The Temporary Flight Restriction (TFR) was lifted on Friday April 29th. The section of the Appalachian Trail closed by the fire was reopened at noon on Saturday, April 30th. Several other trails were reopened the same day, but some trails remain closed. The fire burned in a combination of mountain laurel, pine, and oak forests. The area contained heavier than average leaf litter and duff. The region was 3 to 4 inches below normal precipitation. In total, the fire burned 10,326 acres. The Southern Area Red Incident Management Team transferred command of the fire back to Shenandoah National Park and a type 4 team, Charlie Rudacille, Incident Commander. Last week’s announcement by the National Park Service(NPS) regarding 2015 economic benefit and impacts of NPS sites across the country underscores the vibrant relationship between the Blue Ridge Parkway and its neighboring communities. The report highlights that 15 million visitors to the Parkway in 2015 spent $952.1 million in communities near the park. This spending supported 15,337 jobs across the region and had a cumulative benefit to the local economy of $1.3 billion. These results reflect the original vision of the Parkway as an economic engine for the southern Appalachian region. The parkway was conceived during the Great Depression as a large-scale public works project to create jobs and today it connects 29 counties across North Carolina and Virginia; creating a regional identity that continues to contribute to economic vitality. Tourism industry leaders across the region regularly cite the Blue Ridge Parkway as a key attraction in driving tourism business to their area. “We are so grateful to the community leaders that recognized the importance of routing the Parkway through Asheville,” said Marla Tambellini, Vice President of Marketing and Deputy Director of the Asheville Convention and Visitors Bureau. “It’s a testament to the importance of the Parkway and the robust tourism economy we enjoy today.” National park tourism is a significant driver in the national economy as well, returning $10 for every $1 invested in the National Park Service. The peer-reviewed visitor spending analysis was conducted by economists Catherine Cullinane Thomas of the U.S. Geological Survey and Lynne Koontz of the National Park Service. Report authors this year also produced an interactive tool. Users can explore current year visitor spending, jobs, labor income, value added, and output effects by sector for national, state, and local economies. Users can also view year-by-year trend data. The interactive tool and report are available at the NPS Social Science Program webpage:go.nps.gov/vse. The report includes information for visitor spending by park and by state.